Steven (Chicagoland, United States) on 2 August 2018 in Plant & Nature and Portfolio. 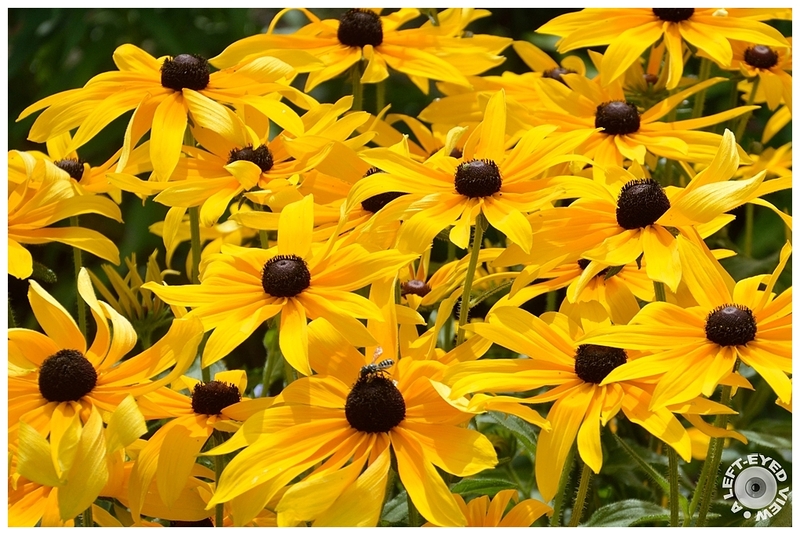 Brown-eyed Susans potted at the Garfield Park Conservatory in Chicago, Illinois on July 10, 2016.
what a bright and lovely picture ! A beautiful floral image with exuberant color. it is a very pretty bright photograph, (as much as the sun we will have once more today). I think these are my favourite flowers. So cheery and hopeful. Wow !! This is fantastic framing !!!!! A fabulous image! These flowers are so bright and cheerful! I love it! Pretty soon there will be lots of visitors! Very nice. The photo bombe adds focus. Superbe tapis de fleurs jaunes quelle iamge mervielleux. Really beautiful. Yellow is such a cheery colour. Joli bouquet avec cette abeille. oh, wow, what a happy display of beauty ! A fine field of these flowers. This photo grabs attention with it compositon and abundance of these flowers. Beautiful composition. The way the brown circles get highlighted in the middle of the yellow is phenomenal. The graphism was very well evidenced. Yeah, bright and lovely indeed ! Bravo !! Amazing yellow and green colors. I love how you've filled the frame with these happy flowers!